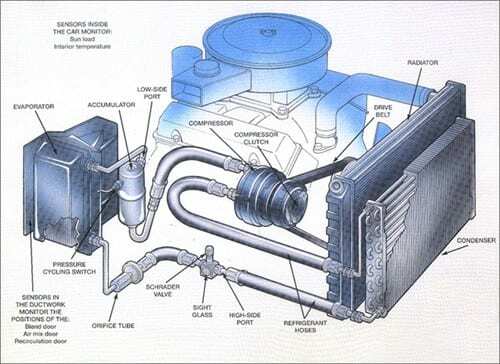 The heating, ventilation and air conditioning system (HVAC) is controlled by the computer system. This system operates on the basis of receiving information from the sensors in various locations (INPUTS). When those conditions match the pre-program circumstances, the computer causes certain actuators to adjust accordingly (OUTPUTS).